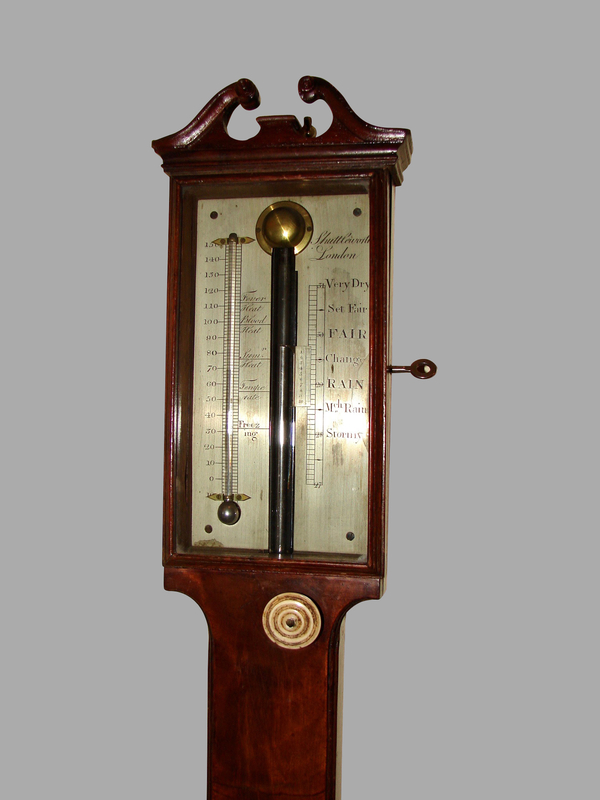 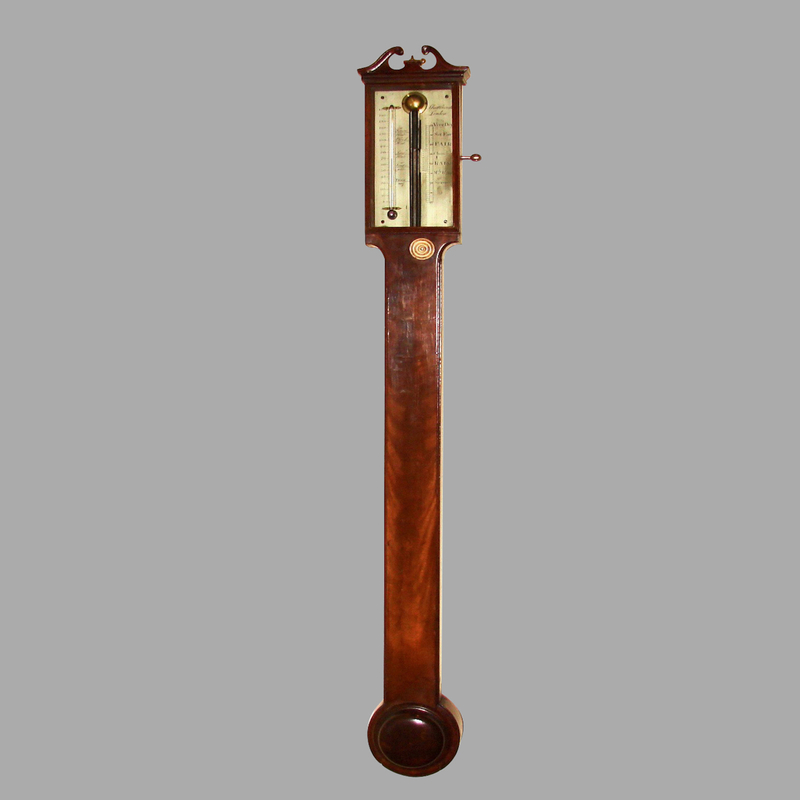 A fine George III mahogany stick barometer with an engraved silvered register, made and signed by Henry Raines Shuttleworth, London. 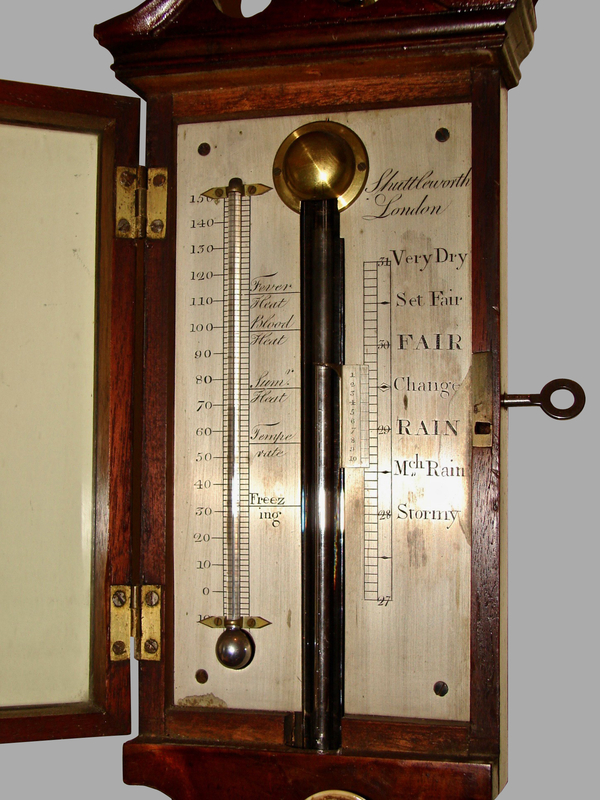 Shuttleworth flourished from 1746 to 1811 and was a well-regarded optician and instrument maker. 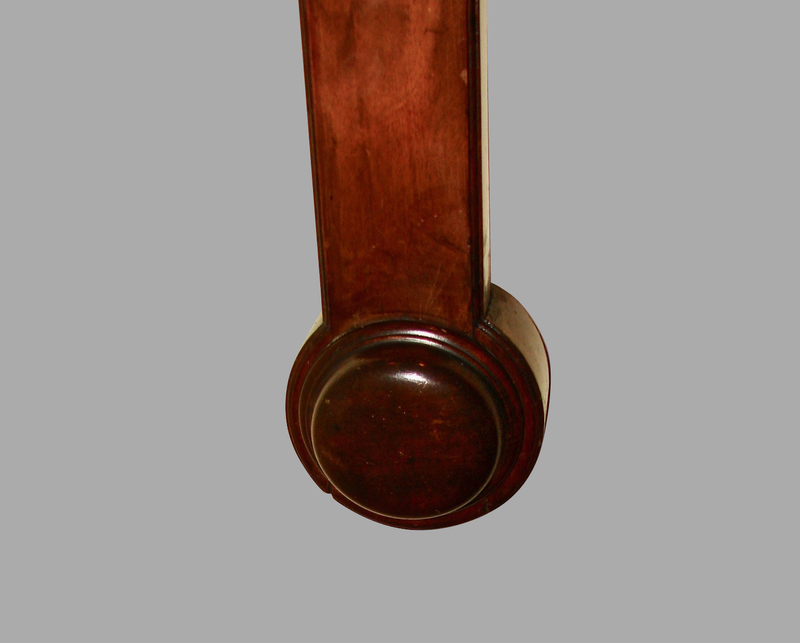 Cornice restored.